A delight for crafters and dried/cut flower designers. 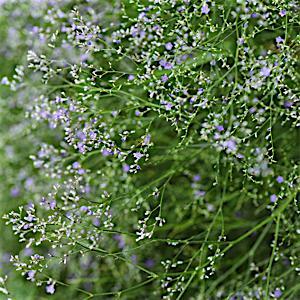 Wands of tiny purple flowers bloom in summer on airy stems, great for borders. Tolerant of hot, dry and windy areas.